The world seems to be waiting for Jordan Peele to make his next move, and the acclaimed writer and director has finally announced what will follow up the Academy Award-winning Get Out — and when it will hit theaters. 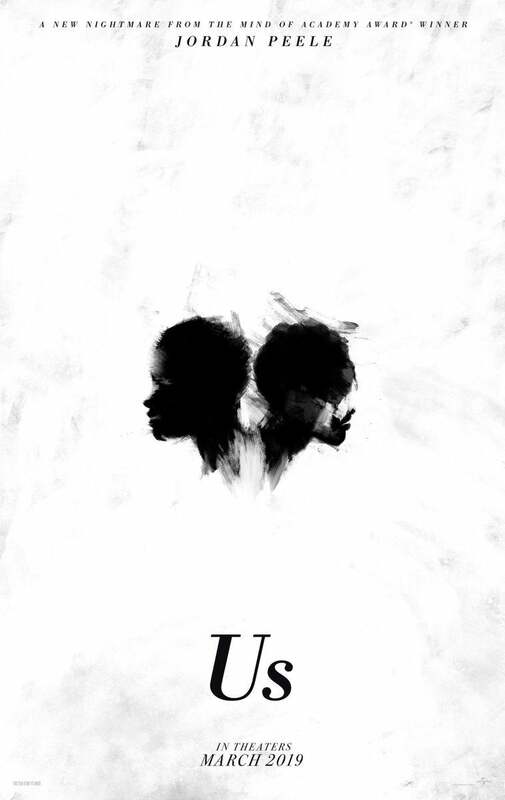 The simple billing is matched in the aesthetic of the poster, which depicts two heads back-to-back, rendered in what appears to be charcoal, amid a white but smudged backdrop. The poster for Us also has an interesting pitch for the film: "A new nightmare from the mind of Academy Award winner Jordan Peele." Peele has made it clear that he intended to continue in the horror genre for his follow up to Get Out, indicating that it could tackle social issues much like his debut film. The poster was accompanied by a report from Variety stating that Elizabeth Moss of The Handmaid's Tale and Mad Men was being eyed for the lead role. Lupita Nyong'o is also in talks to star in the film, as well as her Black Panther co-star Winston Duke. The movie was announced to hit theaters in March 2019. There's no word yet on when production will start. Fans, critics, and industry analysts are all looking forward to whatever project Peele tackles next. After years collaborating with Keegan-Michael Key on their hit comedy show Key and Peele, the budding filmmaker made the acclaimed horror movie Get Out which went on to become one of the most profitable productions of 2017, and the most financially successful debut picture from a writer/director. Peele won the Oscar for Best Original Screenplay earlier this year, and iterated that he intends to stick with horror for the foreseeable future. "One thing I know is that this is genre; and playing around with the thriller, horror, action, fun genre of intrigue is my favorite. That’s my sweet spot," Peele told the Hollywood Reporter. "So I think tonally it should resemble Get Out. That said, I want to make a completely different movie. I want to address something different than race in the next one." Though his next project is set, the director won't rule out making a sequel to Get Out in the future. Us will hit theaters in March 2019. Are you excited for Jordan Peele's new horror film? Let us know in the comments! 'The Curse of La Llorona' Tops Weakest Easter Box Office in a Decade.